The S-Series with capacities between 2 and 3.5 tons is designed for customers’ requirements worldwide. The S-Series stands out not only due its established system components but also thanks to innovative digital technologies and an extensive range of accessories, which meet customers’ specific work requirements and ensure superior efficiency. Visitors can get a first impression of the S-Series in Hall 26, Stand L02. Another trade fair highlight is the electric hand pallet truck WPio12 with a lithium-ion battery, which was launched in the market last year and has already developed into a sales magnet in this short time. The WPio12 is not only Clark’s first vehicle with lithium-ion technology but also sets new standards for hand pallet trucks on the market with electronic lifting and driving, a low service weight of barely 130 kilograms including battery and a usage period of up to three hours with a fully charged battery (24 Volts, 20 Ah). The lithium-ion battery can be recharged from flat in just 2.5 hours. Interim charges are also fully possible. With up to 1,000 charge cycles, the maintenance-free battery has almost doubled the service life of block batteries. Convenient replaceable batteries available from the factory can easily extend the service time. The WPio12 is used for traditional hand pallet truck applications. It is also ideal as auxiliary equipment on a truck, since its turning radius at barely 1,390 millimeters is very small and thanks to the very low L2 dimension of 390 millimeters (length including the back of the fork), no pallet space is lost during its transport on a vehicle. The Clark SRX14/16 reach trucks are another highlight at the trade fair booth, featuring load capacities from 1.4 to 1.6 tons and lift heights of up to 10.5 meters. They stand out with their robust and ergonomic design according to Clark’s reliable “build to last” concept. The solid construction ensures a reliable operation with low service costs throughout the vehicle’s entire service life. Thanks to a functional ergonomic concept, the driver is relieved of superfluous manual tasks so that driving commands can be executed quickly and safely. The driver can thus focus better on his work and operate productively and safely during the entire shift. The powerful electric forklifts GEX 40-50, designed for loads of up to 5 tons, are also exhibited at the trade fair. Due to the best possible weight distribution and extremely smooth operation, the forklifts move heavy loads precisely and safely without distracting the driver from his task. 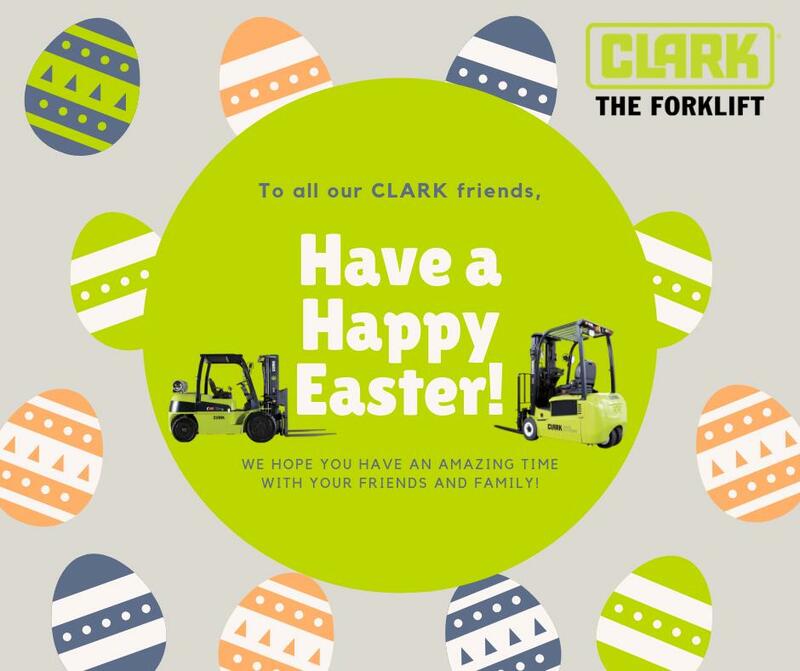 For heavier loads with a capacity of up to eight tons and extremely tough operating conditions, Clark is exhibiting the forklifts of the C60-80 series with internal combustion-engine power. The Clark portfolio at CeMAT is rounded off by the compact and flexible electric tow tractors of the CTX 40-70 series as well as an extensive range of Clark’s warehousing equipment.